This series was created to meet the performance and comfort requirements of an increasingly demanding market in terms of performance and comfort, while maintaining the key features of the successful SC140TT series. It is suitable for use in both new constructions and renovations, and satisfies the requirements of demanding customers in terms of design, performance and care for details. The opening can be motor-controlled and can use home automation to control room comfort. It is characterized by high thermal insulation; air, water and wind tightness, and sound insulation. 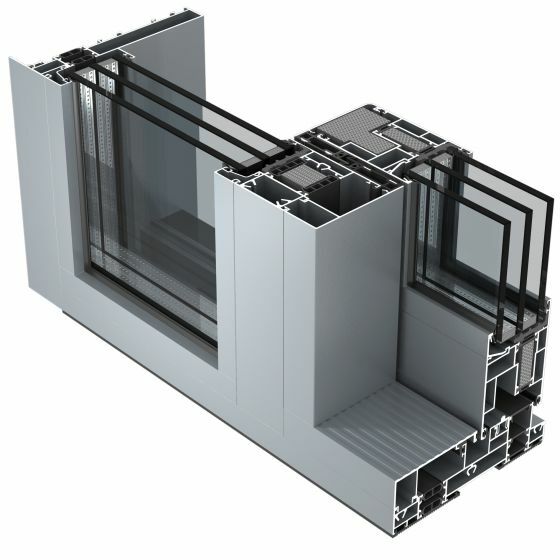 The robustness of the frame allows the construction of large windows while still remaining very safe. It also offers a wide range of building types to meet the most varied and demanding architectural needs. The structure of the sashes permits the insertion of different glass types with high energy saving and safety performance.